My oldest daughter has a very tender head and I was not one to push fancy hair anyways, but she does love rocking the side pony tail these days. If I could get a little practice with a side French braid I think this French braid bun would be a really cute hair do for her to wear to church one Sunday. I might have to practice on her younger sister who has a much larger pain tolerance for hair brushing! 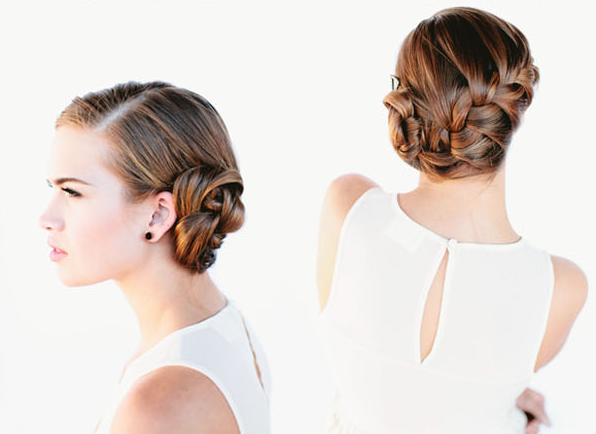 You can see the French braid bun tutorial over on Once Wed.